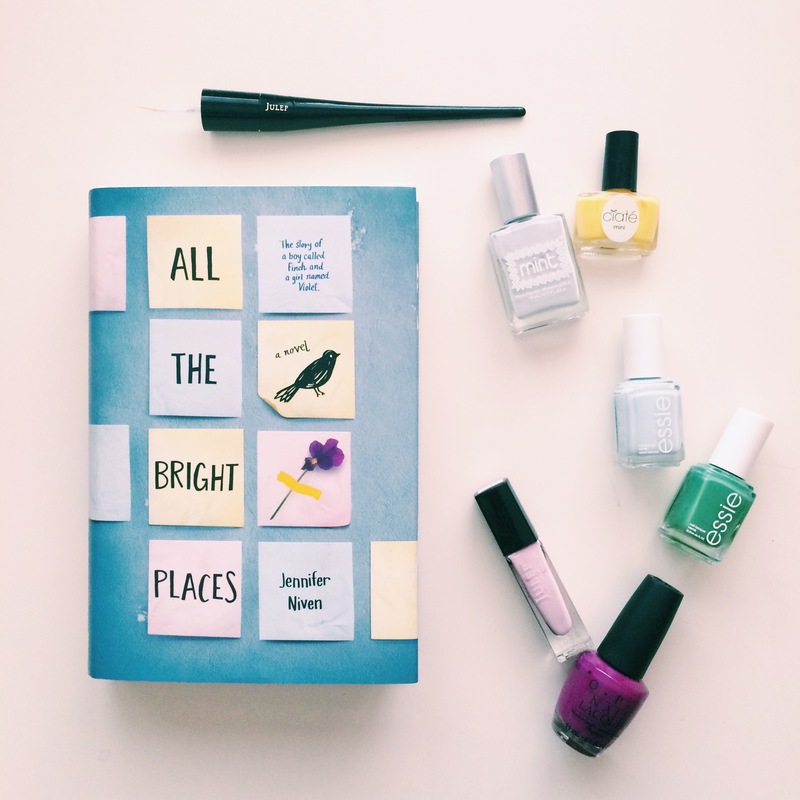 Rainbow Rowell is a contemporary lit goddess! 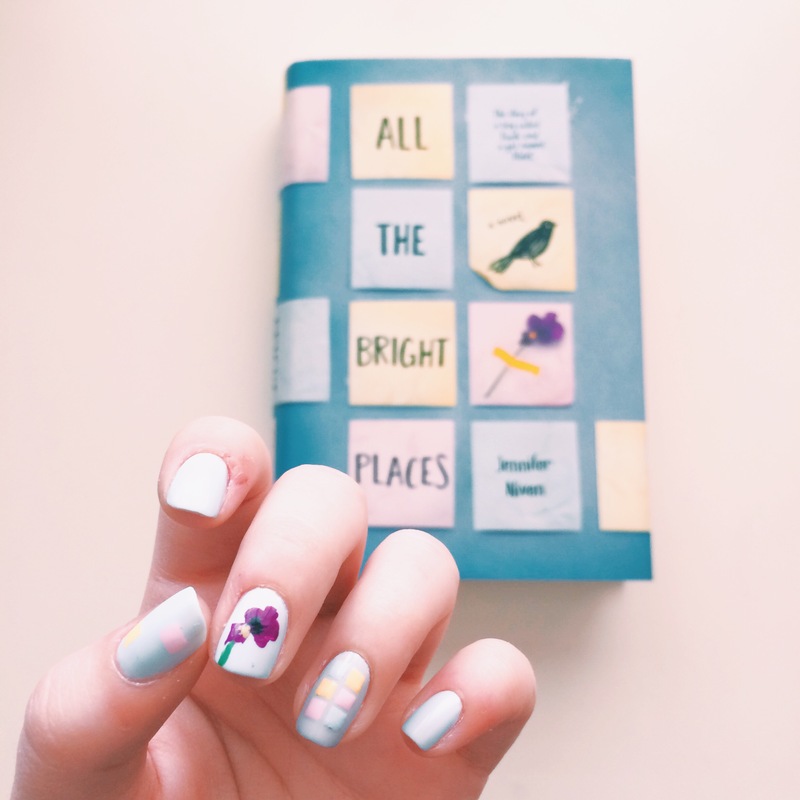 I probably say this more often than I would like to admit, but we love RR around here… case & point my Landline and Attachments cover-inspired manis! 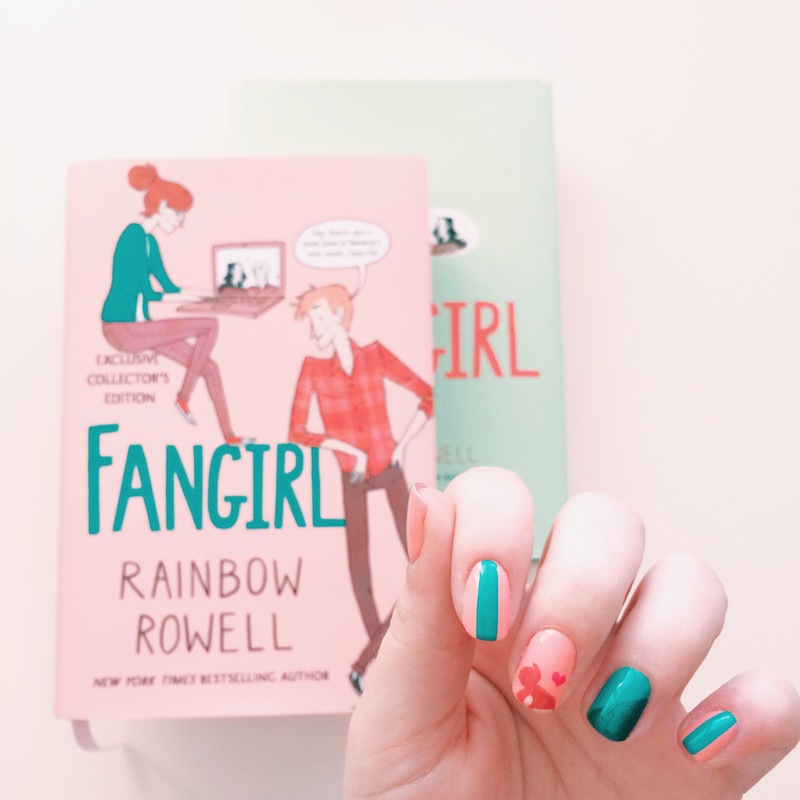 Fangirl was my first Rainbow Rowell book, and has been one of my favorite contemporaries since that moment. 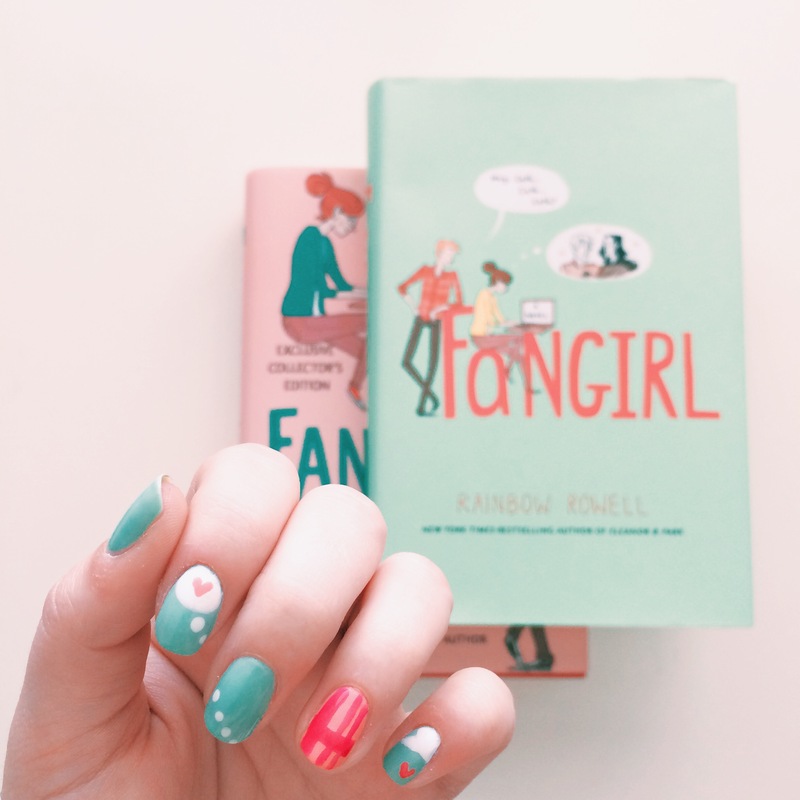 What is there not to love about cute boys, nerdy girls, fan fiction and a Harry Potter inspired book within a book (side note – who is STOKED for Carry On??)! So when I found out about the new special edition versions, I seriously had to talk myself out of buying all THREE. I settled on the salmon cover from Target, and I’m very pleased! I put a ton of pressure on myself not to mess these guys up because I’m so in love with both the story and the covers. That’s probably what took me so long to actually do them after reading the book – but now I’m ready. Let’s start with the original! 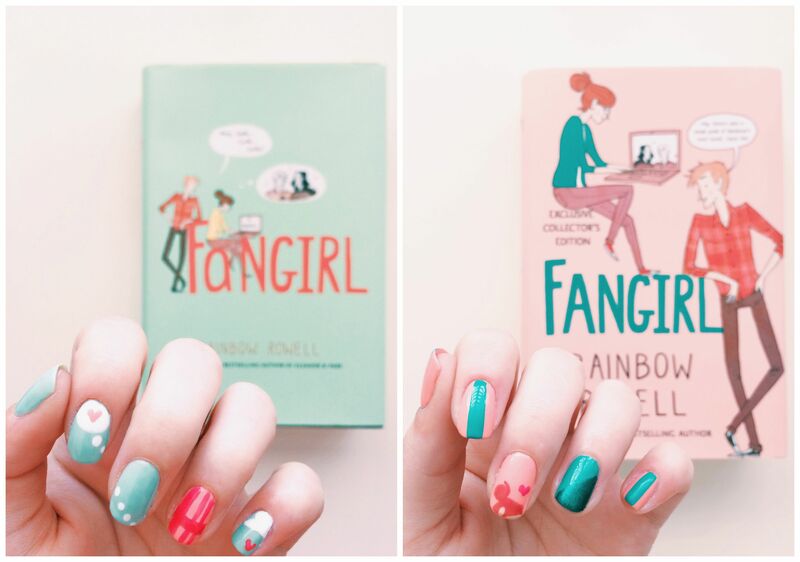 Mint and Fangirl – you can’t have one without the other. 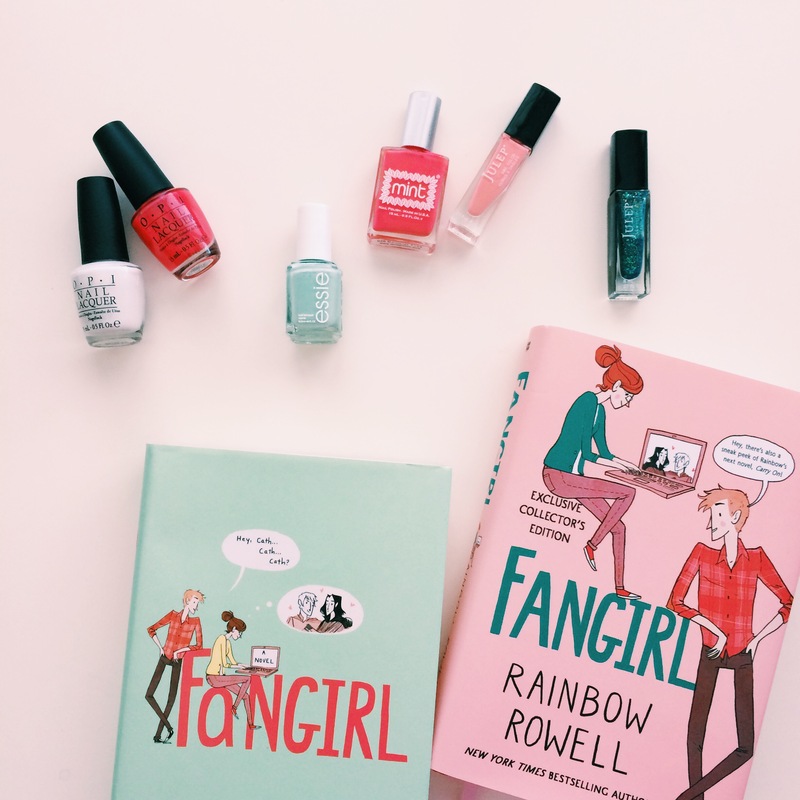 I don’t think I can count the number of times I’ve taken a pic for Instagram of mint/pastel/rainbow books and Fangirl is ALWAYS in there! 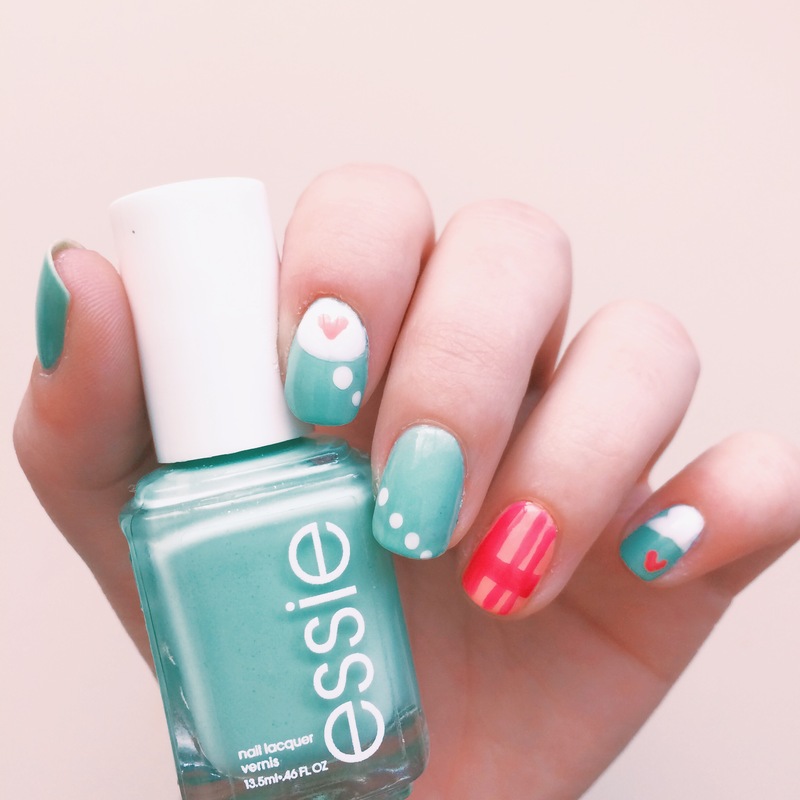 To get the iconic minty color, I used two coats Essie Fashion Playground. A couple of details that stood out to me on this cover were the thought and speech bubbles, as well as the adorable Levi illustration. 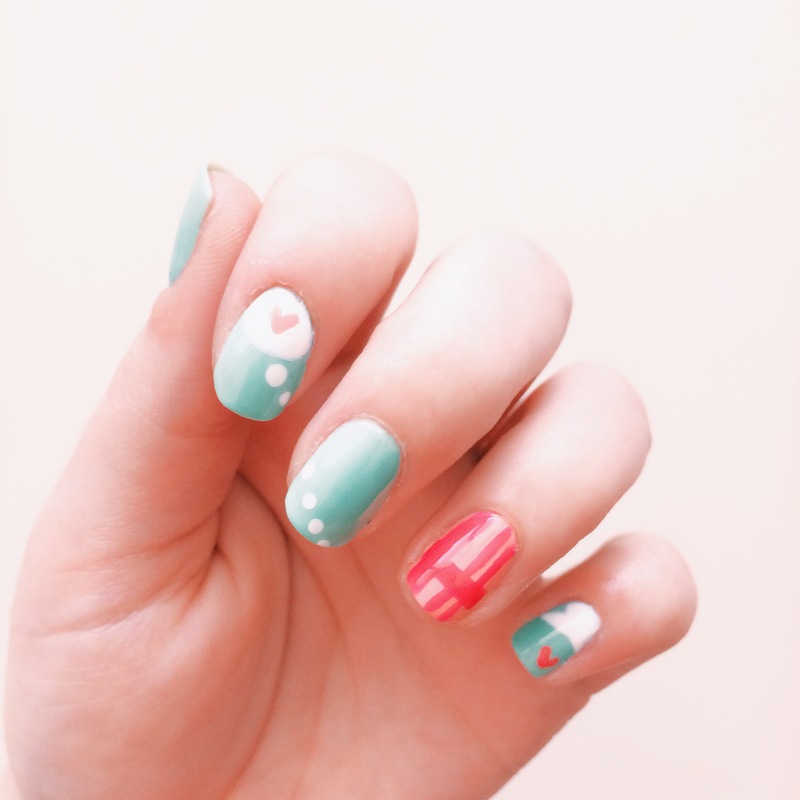 I played with minimalist versions of the bubbles and plaid pattern of his shirt for the accent nail. And on the other hand (pun totally intended! ), the Collector’s Edition Fangirl! When I first sat down to paint this mani, I had trouble finding the perfect way to interpret the cover differently than the previous design. I didn’t want to take the easy route of same design, different colors. And it’s actually really funny the random places inspiration hits. I was walking out of Ulta after buying the teal I needed for the cover and BOOM, I knew what I wanted to do! 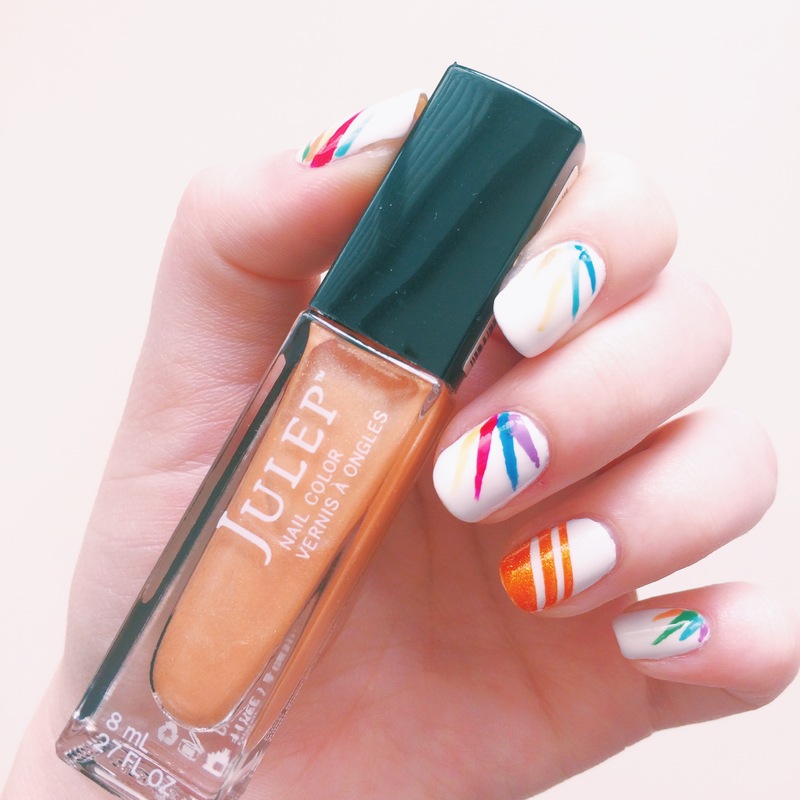 Color blocked stripes that are inspired by the block letters of the title. 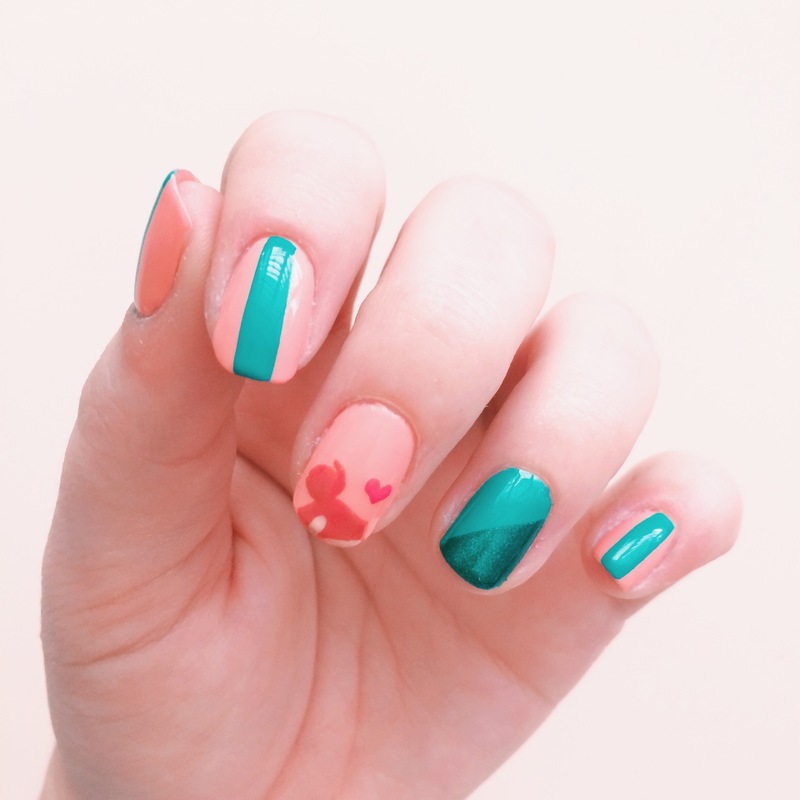 I got the perfect salmon with two coats of Julep Alicia, and painted a diagonal color block accent nail with China Glaze Turned Up Turquoise and Zoya Selene. From the start, I’ve never been into actual people on my nails, but Cath and Levi are highlighted so much more on the special edition cover. To pull from them, I painted Cath’s top knot and a heart on my middle finger using the Julep Plie Wand, which is seriously a lifesaver when it comes to painting detail! Do you buy collector editions of your favorite books? Happy Reading! 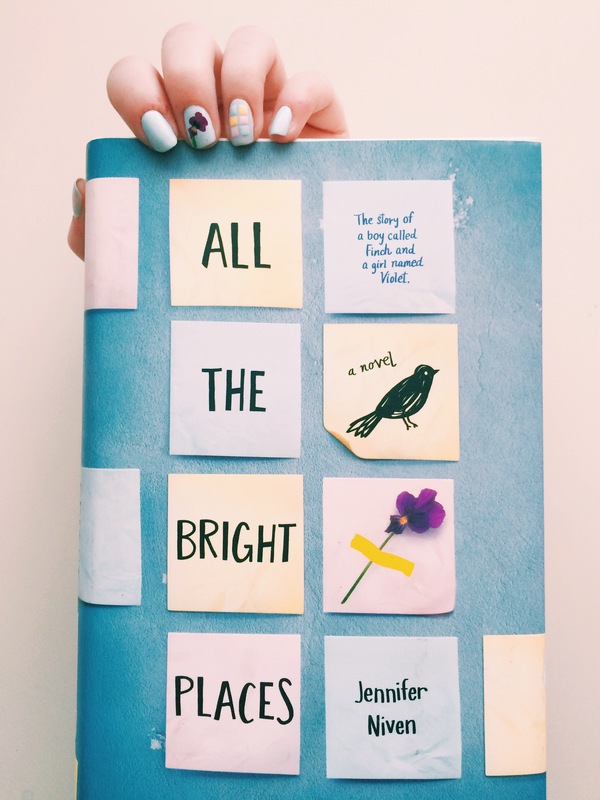 One of the most anticipated YA reads of 2014 became one of my absolute favorite books of 2015, and maybe even ever! 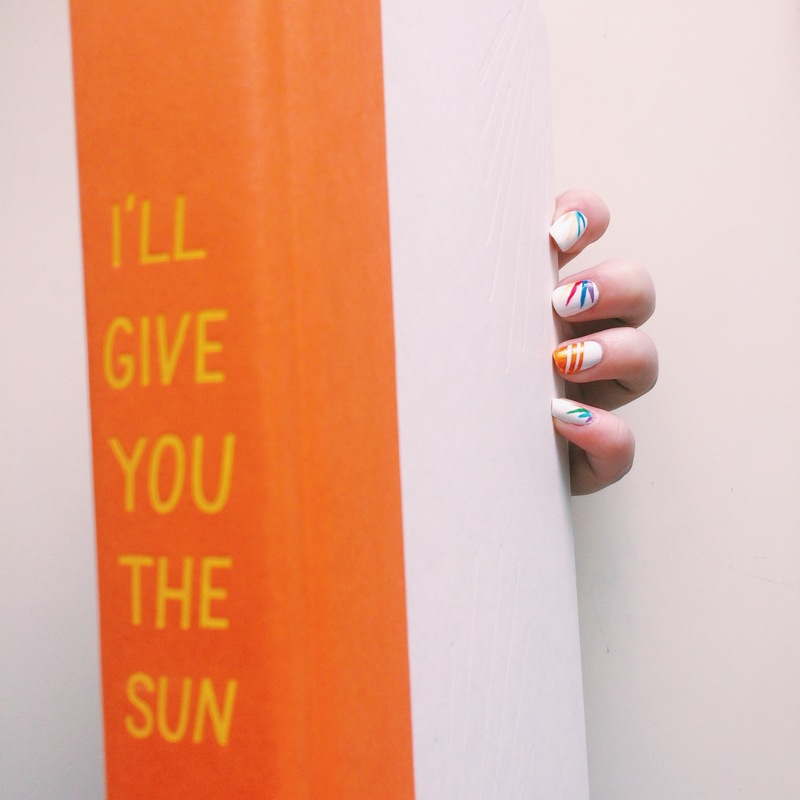 I’ll Give You The Sun by Jandy Nelson is a contemporary to rule all YA contemporaries, and I am so glad it came into my life. I have a feeling my overzealous review/opinion of this book might get a bit rambly, so bear with me! Told from alternating perspectives of a set of twins, this book is liquid poetry and art. If I’m being objective, it could be a bit much for some people who don’t have the patience for flowery language, but it was just enough for me. Love and loss are the main themes, and it ultimately left me breathless. I have a hard time forming sentences that correctly express my love for this story, so I’ll just throw out some adjectives instead: heartbreakingly beautiful, moving, inspiring and literally a million more. If you want to be moved to laughter and tears, I beg you, PICK UP THIS BOOK. **I’m not sure if you can tell, but I feel rather strongly about how how incredible this novel is! Now, let’s give you the mani! 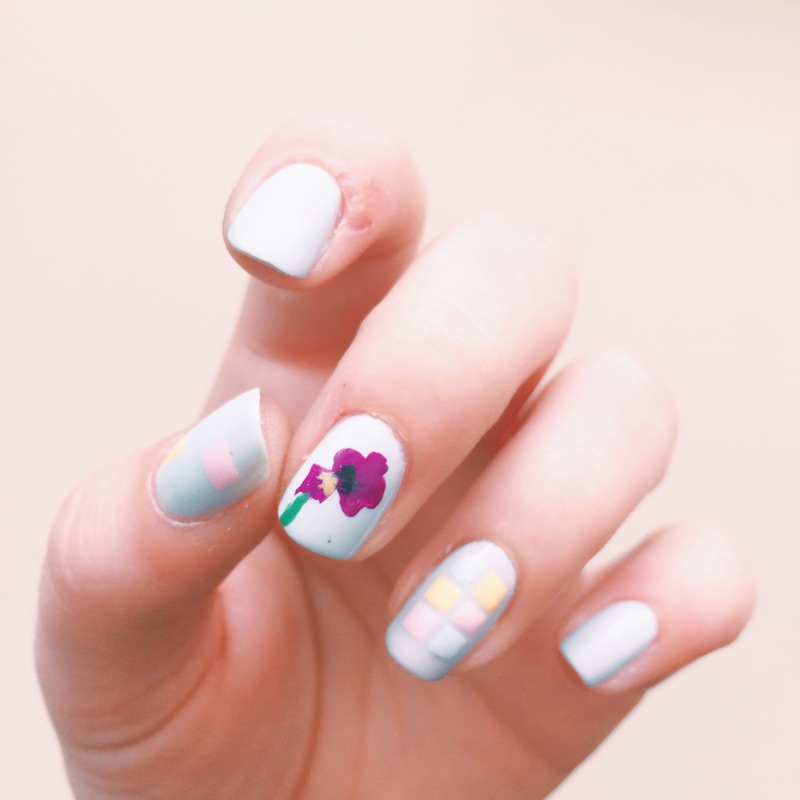 This was another design that used ALL the polishes. Clearly I’m on some sort of rainbow kick, and I ain’t even mad! 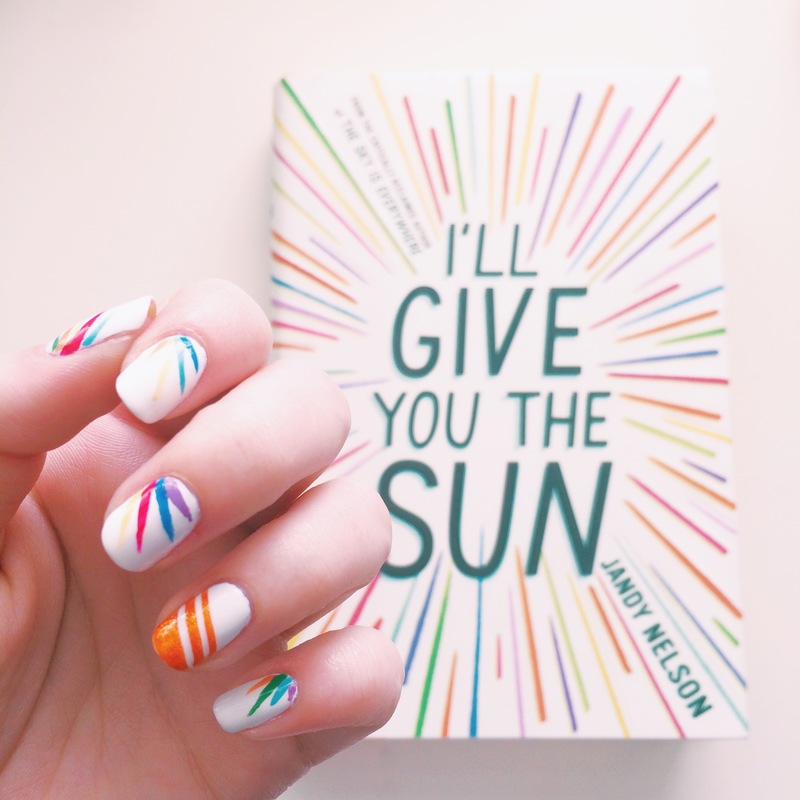 I went pretty literal with the design of this manicure, sticking mainly with the gorgeous rainbow sunburst on the white background. You’ll need as many polishes as you can carry, plus some, and for me that included my trusty stash of Julep and Essie colors. I’ll talk rainbow stripes first. I went with a random order of colors to mimic the lack of pattern on the cover. Grab your striping brush, or skinny paint brush in my case, and go to town! While I would have liked my colored stripes to be a bit thinner, I think I made it work. This design is great for ya’ll who are worried about painting intricate images because it doesn’t have to be exact! 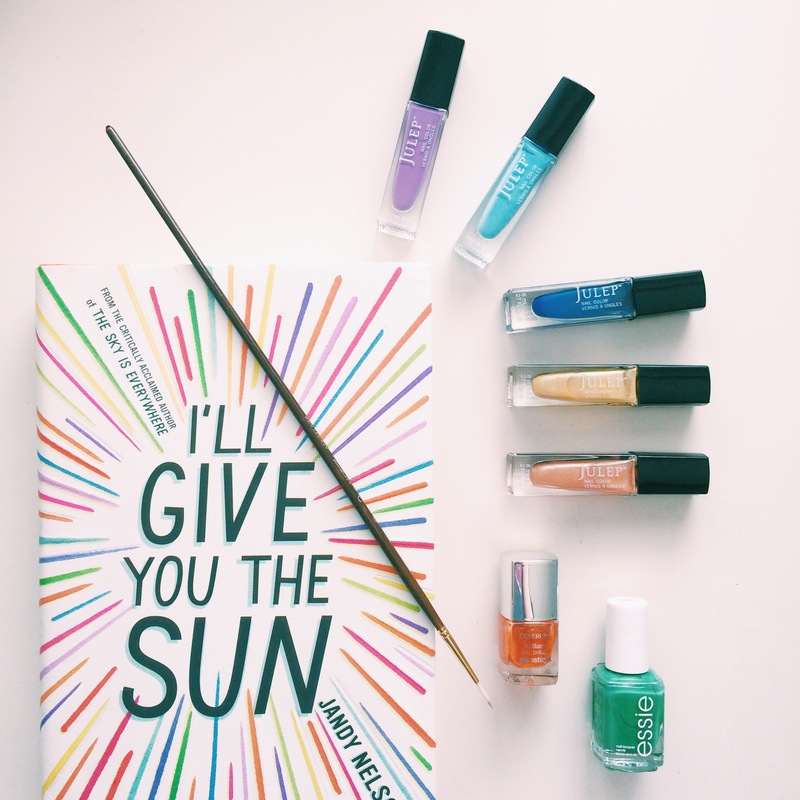 I stripped the dust jacket off for a bit of accent nail inspo. To play with the orange and white, I used striping tape (my fav technique) and a vibrant orange. 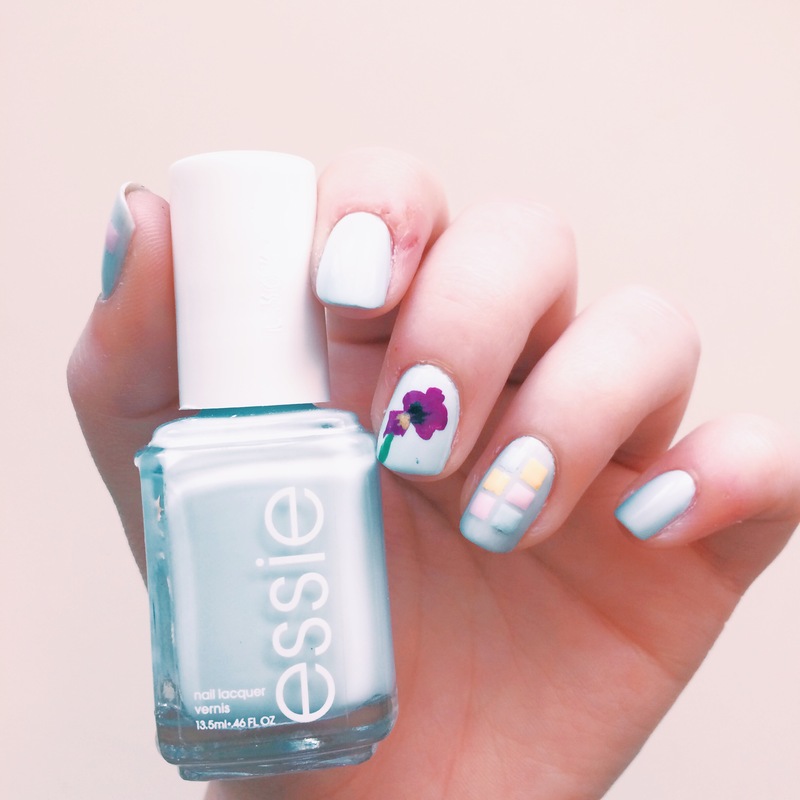 Voila, you’ve got yourself a contrasting, geometric accent nail! Did you love I’ll Give You The Sun as much as I did? Let me know what you thought! Happy Reading!